DENVER— To get close to the action for the Aug. 16-19 Colorado Classic, fans will want to make their way to one or more of 14 Race Rally Points or numerous Community Rally Points unveiled today.  The Colorado Classic has re-imagined pro bike racing to be more fan-friendly with routes that start and finish in the same location, smaller team sizes for more competitive racing, and a compact four-stage format. This year, 15 of the sport’s top men’s teams and 16 women’s teams will race in Vail and Denver. “We’ve taken several steps to make the Colorado Classic even better for fans this year, from expanding the women's race to four stages on routes similar to the men's to identifying multiple spectator-friendly Race Rally Points where fans can gather with friends and watch,” said David Koff, CEO of RPM Events Group, organizers of the race. While fans can catch the action from nearly anywhere along the course over the four days of racing, Race Rally Points are some of the best spots where spectators can partake in the frenzy of race action -- whether it’s a sprint on a straightaway, a treacherous curve or a steep mountain climb -- during each of the four stages in Vail and Denver. In addition, numerous restaurants, small businesses, clubs and organizations will set up Community Rally Points along each route and welcome spectators to join their high-energy cheering sections. (For more information, including parking options, visit: https://www.coloradoclassic.com/2018-colorado-classic-attend/). MOUNTAIN PLAZA: Start line for men’s and women’s races; also sits at base of the exciting dirt climb that will determine King and Queen of the Mountain. SOLARIS/INTERNATIONAL BRIDGE: A spacious spot to watch riders as they roar through the heart of Vail Village. VAIL ATHLETIC FIELD: Catch the racers as they compete for sprint points and, on the final lap, fight to the finish line. MOUNTAIN PLAZA: Watch riders launch down the ramp as they set off on the 10-mile course up the legendary Vail Pass course. VAIL PASS: Follow the clamor of cowbells to join spectators lining the path along the arduous climb to the finish line about halfway up Vail Pass. VELORAMA FESTIVAL (Tickets required. Visit veloramafestival.com): The ticketed festival in RiNo includes the start/finish for Stage 3; a bike expo and demos; craft brewers; 20 of Denver’s best food trucks and headliner, national and local music acts. Men launch at 10:30 a.m. and finish the 100-mile “Queen’s Stage” at about 2:45 p.m. Women compete in a roughly hour-long, high-speed criterium starting at 12:30 p.m.
LOOKOUT MOUNTAIN: The first of the day’s killer climbs offers a prime opportunity to hike or bike your way to the cheering section on this landmark west of Denver. CRAGMONT DRIVE: This steep road in Evergreen peaks at 7,700 feet and will serve as the second of three spots in the battle for King of the Mountain. INDIAN HILLS: This 10-mile slog is the last of the day’s KOM climbs. DINOSAUR RIDGE: This paved road over the ridge adjacent to Red Rocks is closed to motor traffic as racers make a final climb before beginning their lightning-fast descent back into Denver. WHEAT RIDGE HIGH SCHOOL: This is the spot for fans who love speed, as the men’s peloton flashes by in a full-on sprint twice during Stage 3. VELORAMA FESTIVAL (Tickets for Sunday are $10. Visit veloramafestival.com for more information): Both men and women start and finish multi-lap races at the festival grounds, which will host a bike expo, craft brewers, food trucks and a number of demos and activities, including finals of the Rhythm Rumble. And when the racing stops, the music begins with headliner, national and local bands. CITY PARK: Bring lawn chairs or blankets, and picnic in the park along the route to catch cyclists as they loop through the park. 17th AVENUE: Not only can you catch nearly constant race action here, but it’s always abuzz with some of Denver’s most popular cafes and restaurants.